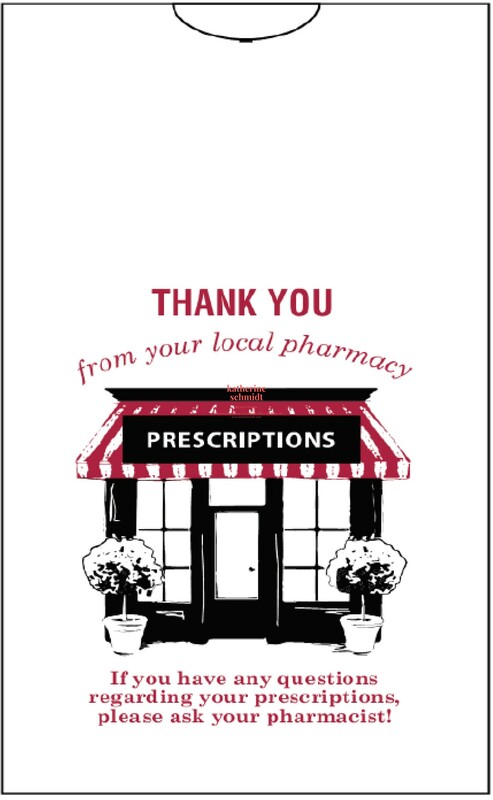 The 4" x 8 ½" format is economical and popular with many pharmacies. The label is comprised of a bottle label, 4 to 6 auxiliary labels, hard copy, mailing label, signature label, and receipt. A separate sheet of copy paper is used for the monograph. 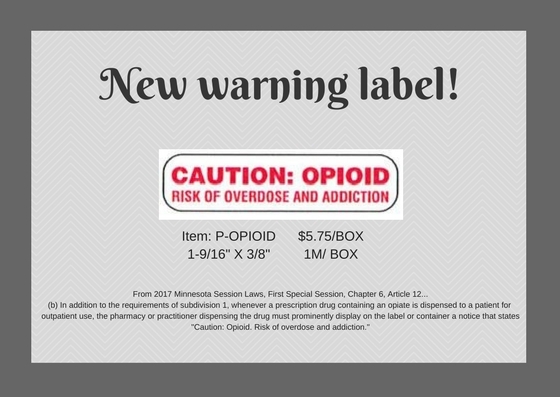 Use of this label requires a special drawer to fit the 4" x 8 ½" size. 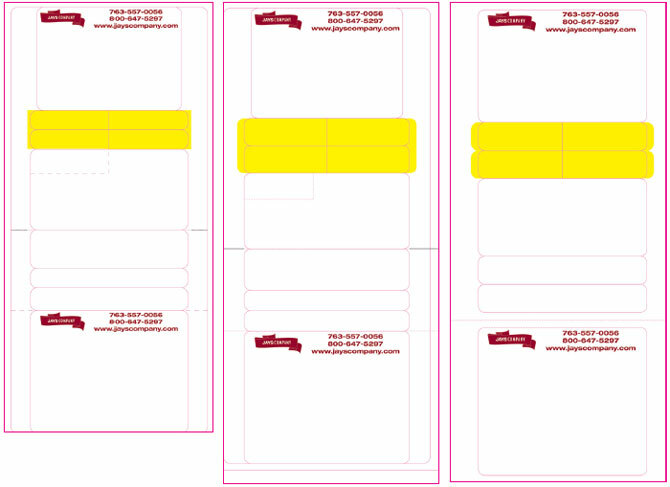 Many other dieline/layouts are available. Please contact our sales department for other options. Please note: There are many layouts available besides what is shown. Please contact Jays Company for additional information.